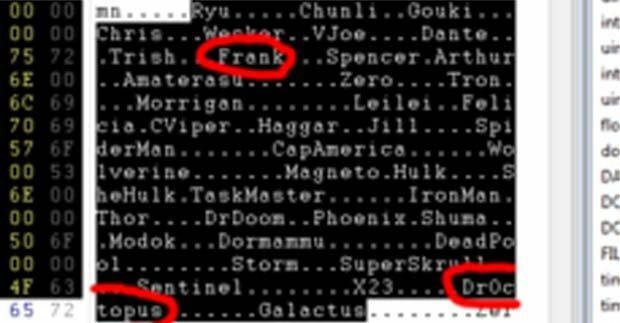 It seems that a hacker decided to look into the code for Marvel Vs. Capcom 3, and managed to find the names of one Frank West and Doctor Octopus. What could this mean? were Frank West and Doc Oc suppose to be in the overall roster, or will they appear as DLC in the future, or they simply wern't supposed to be there? I'll leave this story with an image of the screenshot of the code, as well as my sources.